And had it not been for antenatal corticosteroids provided by the University of Alabama at Birmingham Hospital’s Regional Neonatal Intensive Care Unit, Lexi’s story might have ended badly for her and mom Laci Freeman. 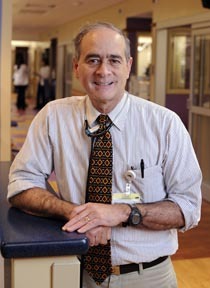 Giving antenatal corticosteroids in extremely preterm infants like Lexi — those born between 22 and 25 weeks gestation and weighing less than 2 pounds — is associated with significant reductions in death and long-term complications such as neurodevelopmental impairments, including cerebral palsy, poor motor skills and lower intelligence, according to research by Wally Carlo, M.D., director of the UAB Division of Neonatology, published in the Dec. 7, 2011, issue of the Journal of the American Medical Association. Freeman knew she was at risk for premature labor; doctors placed a stitch in her cervix to keep it closed when she was 20 weeks pregnant, and she immediately went to the hospital when she began bleeding at 23 weeks. Several days later, at 24 weeks and two days, Lexi was born. Antenatal corticosteroids, when given to a woman in preterm labor, mature the lungs and other organs in the baby’s body. Two shots of the steroids have been recommended for women in premature labor as early as 24 weeks, but there were no data for 23 weeks or earlier gestation from randomized, controlled trials, Carlo says. And the data was quite limited in trials for pregnancies between 24 and 25 weeks. Carlo also says there have been concerns about giving antenatal corticosteroids to some women in early premature labor, especially those susceptible to infection, because steroids lower the body’s ability to fight infection. The study, funded by the Eunice Kennedy Shriver National Institute of Child Health and Human Development and conducted by Carlo for the Neonatal Research Network, used data collected prospectively on babies born between January 1993 and January 2009 at 22 to 25 weeks gestation weighing between just under a pound to 2 pounds at 23 academic medical centers across the country. Carlo and his research team ultimately wanted to determine if antenatal corticosteroids worked as well in early premature babies, even in the long term, as they do in babies born at 26 weeks gestation and older. Carlo says the study is important because it shows that a low-cost intervention, about $25 for two shots, gives even the earliest preemies a chance to survive and thrive. Freeman is grateful for the opportunity at life antenatal corticosteroids gave her daughter. Lexi went home from UAB Hospital Nov. 16.